Bernie's Equipment is your complete source for casters and wheels. 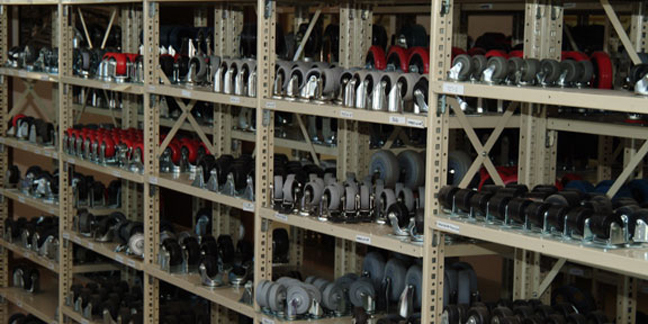 We stock a variety of caster replacement wheels to meet your immediate needs. Call Bernie's Equipment for fast, dependable service and competitive pricing. We represent the following quality manufacturers: RWM, Rollmaster, Trio-Pines, Shepard, and Pan Pac. We offer a full variety of caster wheels: Polypropylene, Polyurethane, Phenolic Resin, Soft Rubber or Hard Rubber, Iron Wheels, Forged Steel Wheels, Full Pneumatic and V-Groove Wheels.